The Travelon Anti-Theft Clutch Crossbody Bag is a simple solution for day to night. For day, it's a great little crossbody bag & at night, simply remove the strap and it's an elegant clutch. The interior is organized with RFID blocking card slots, an open top wall pocket and zippered wall pockets. The exterior features generous front and rear zippered compartments for phone and quick accessories. The Travelon Anti-Theft LTD Clutch Crossbody Bag-Wine has many exciting features for users of all types. You can extend the lifetime of your Travelon Anti-Theft LTD Clutch Crossbody Bag-Wine with the purchase of a FactoryOutletStore Factory Protection Plan. 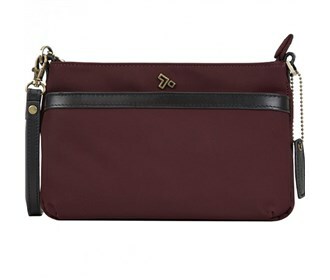 See the Travelon Anti-Theft LTD Clutch Crossbody Bag-Wine product video above for more details. 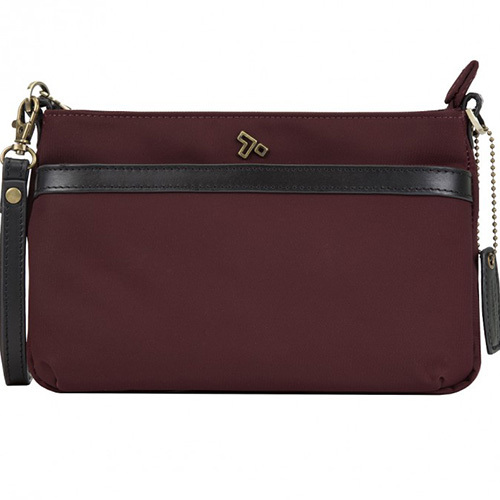 The Travelon Anti-Theft LTD Clutch Crossbody Bag-Wine is sold as a Brand New Unopened Item.